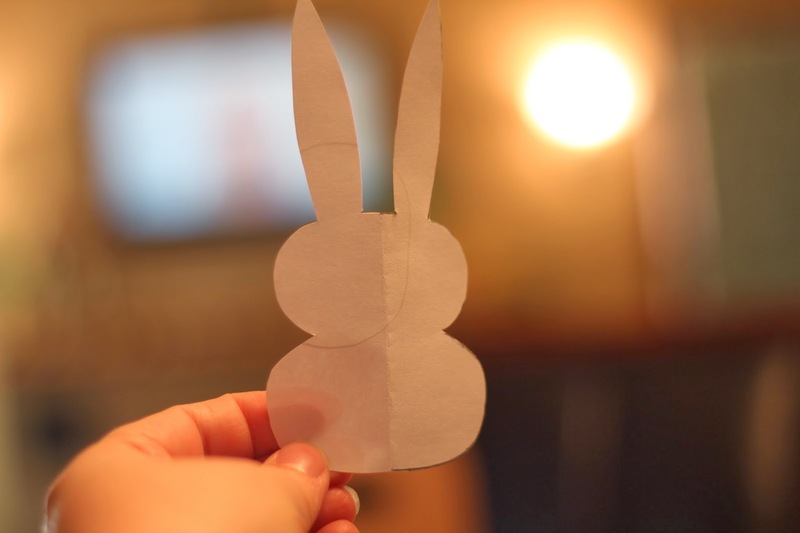 I found this inspiration online and I have lost the online link. 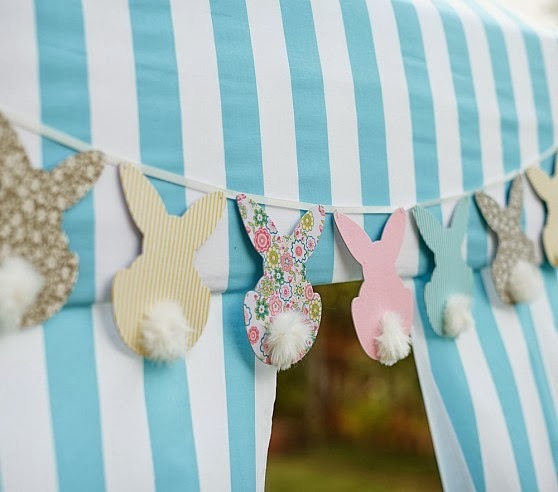 I love the inspiration, and I wish I could give the crafter credit. Unfortunately, that is a no go; however, I knew I could recreate this project for little or nothing. 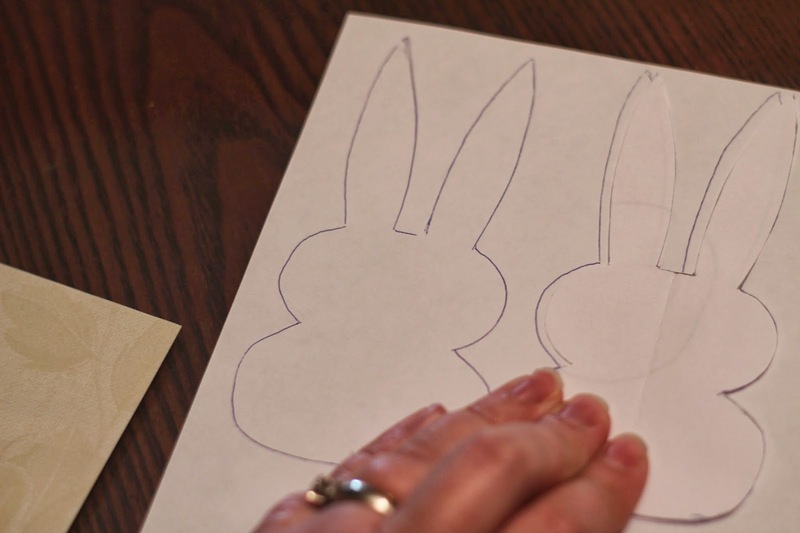 First up, I created a pattern for my bunny. And traced the pattern onto the back of scrapbook paper (already in my craft stash). 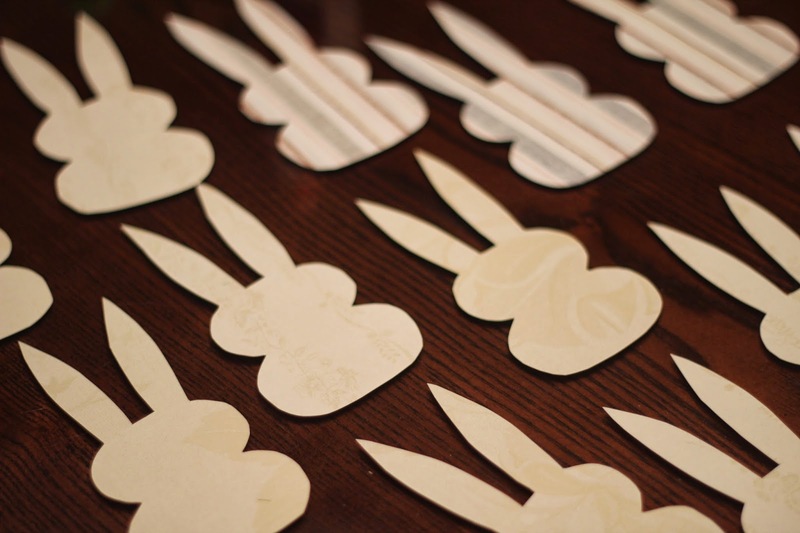 I ended up with roughly 20 paper bunnies. 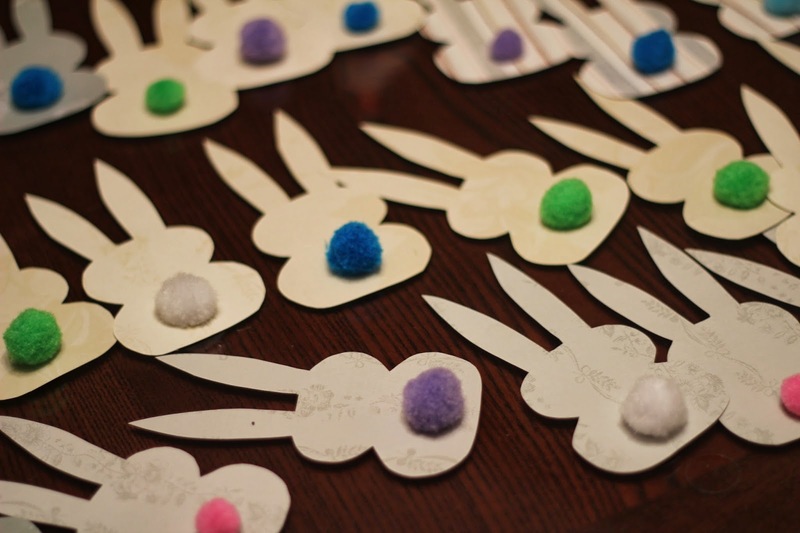 Using Elmer's School Glue and my Target dollar section poms, I attached the poms to the bunnies. 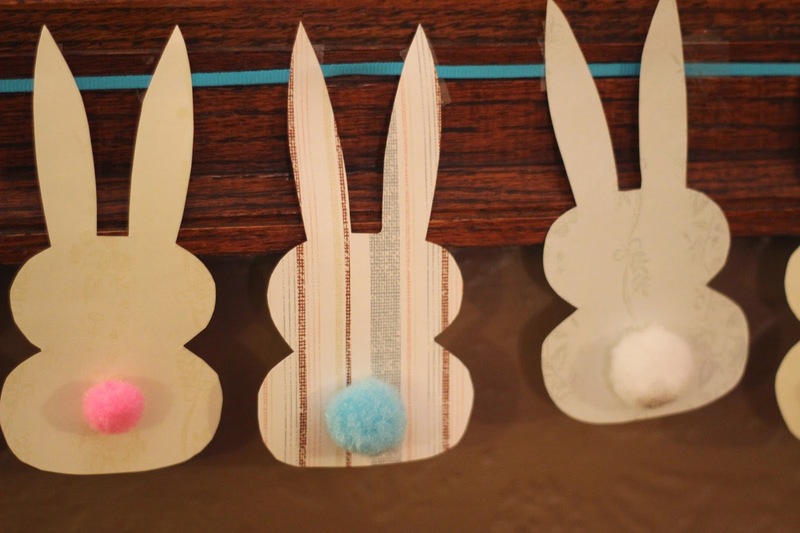 Next up, I attached the bunnies to the ribbon (in my craft stash) using scotch tape. SUPER CUTE! RIGHT?!? 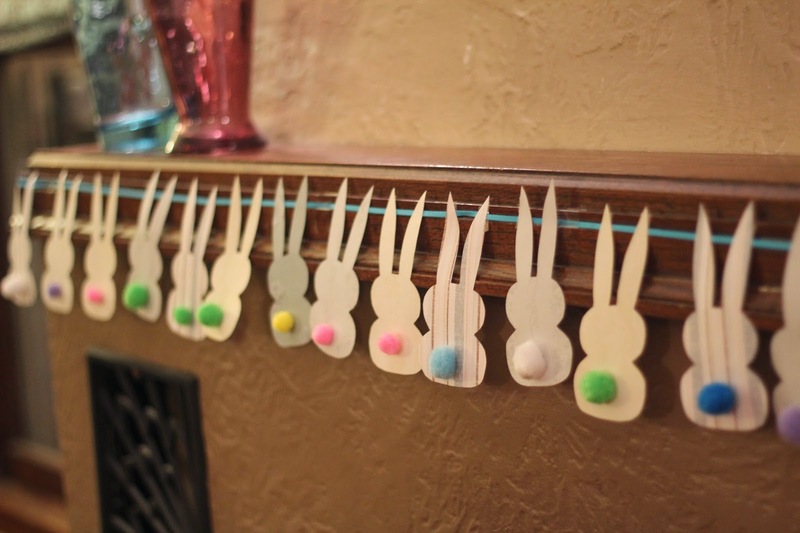 Literally, crafts do not get any easier than this!